Our Ton Of Fun Weight Loss Challenge group is off to a great start! One great aspect of the program is providing helpful resources to help make weight loss easier. Today, we wanted to give you a sneak peak into the latest recipe we provided. 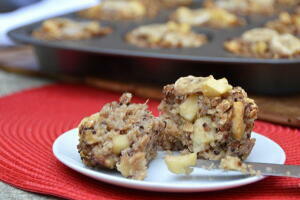 It's an apple banana quinoa breakfast cup! Enjoy!